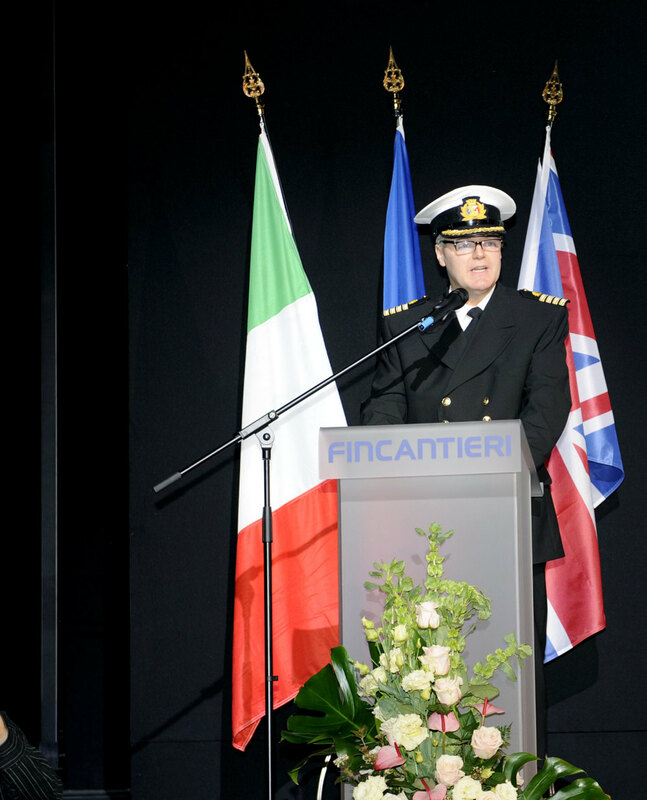 Yesterday the official Britannia handover ceremony took place at the Fincantieri shipyard in Trieste. 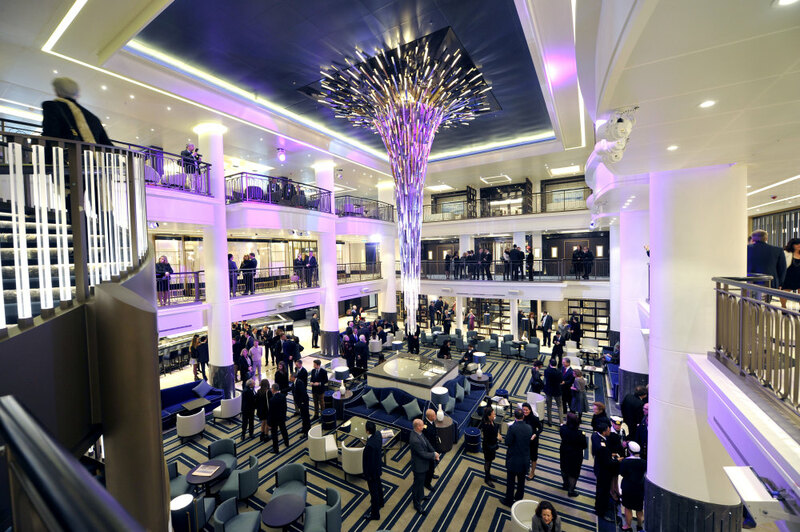 P&O Cruises officially took delivery of Britannia – the largest cruise ship ever designed specifically for the British holiday market – in a ceremony that was attended by Carnival UK executive chairman, David Dingle, senior executives from P&O Cruises, as well as senior teams from the shipyard Fincantieri, where Britannia was built. The traditional ceremony included the exchange of flags, in which the shipyard flag is taken down and the P&O Cruises flag is flown. Britannia’s Captain Paul Brown was also presented with the first water to touch the hull of Britannia during the official float out ceremony. 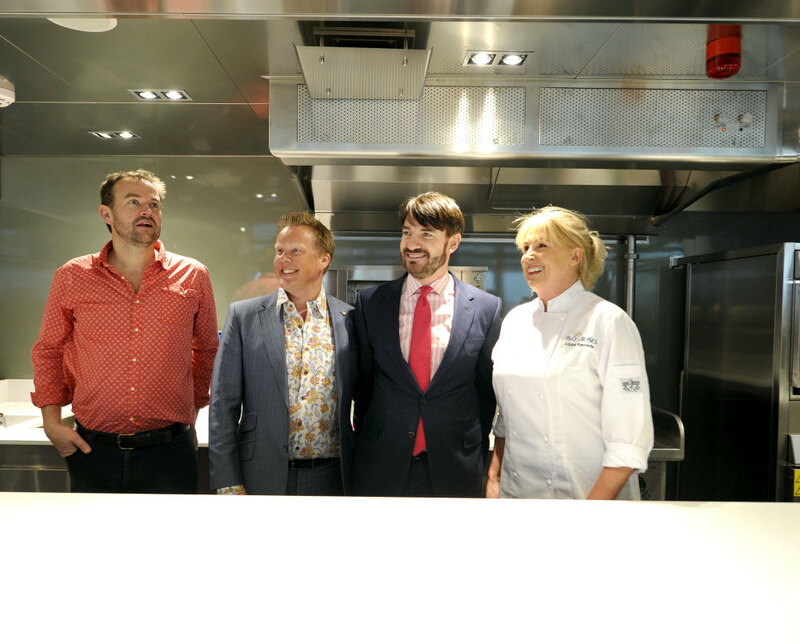 Here are some photos from the event courtesy of P&O Cruises. 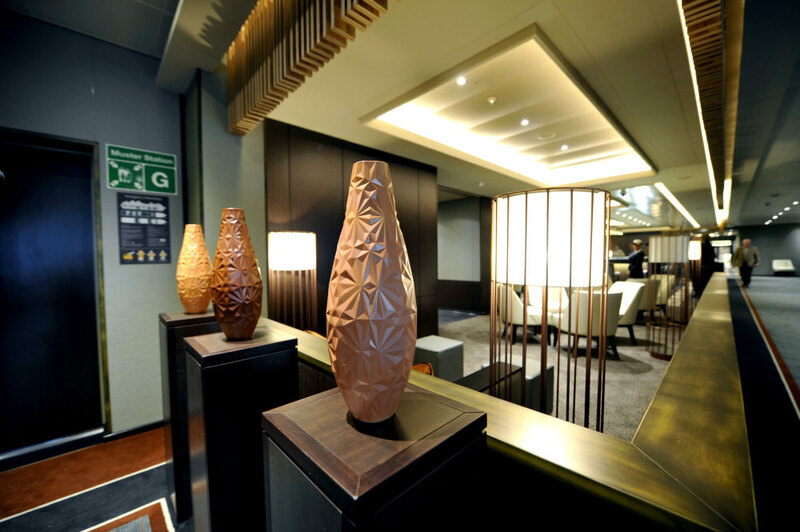 Here we can see Britannia’s imposing hull artwork. 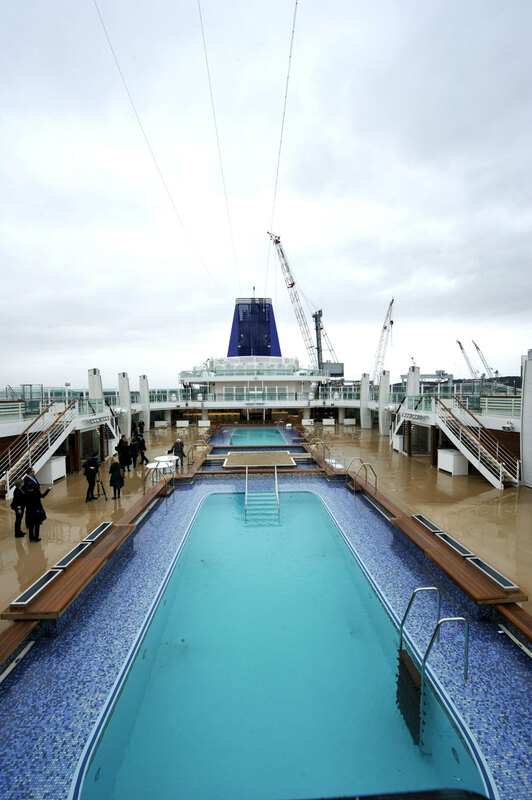 The Pool Deck on Britannia, albeit on an overcast day in Trieste, Italy. 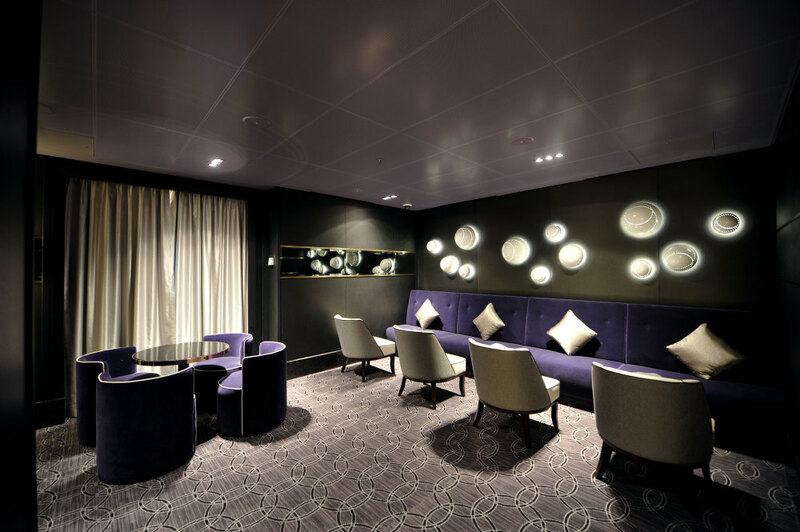 The Atrium has been designed to be the heart of the ship and is the perfect meeting place. 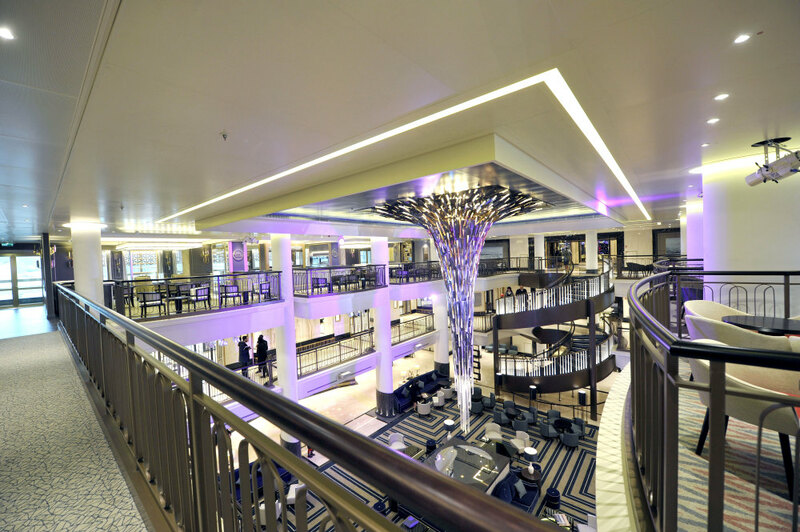 Here is the Atrium as seen from the opposite end to the photo above. 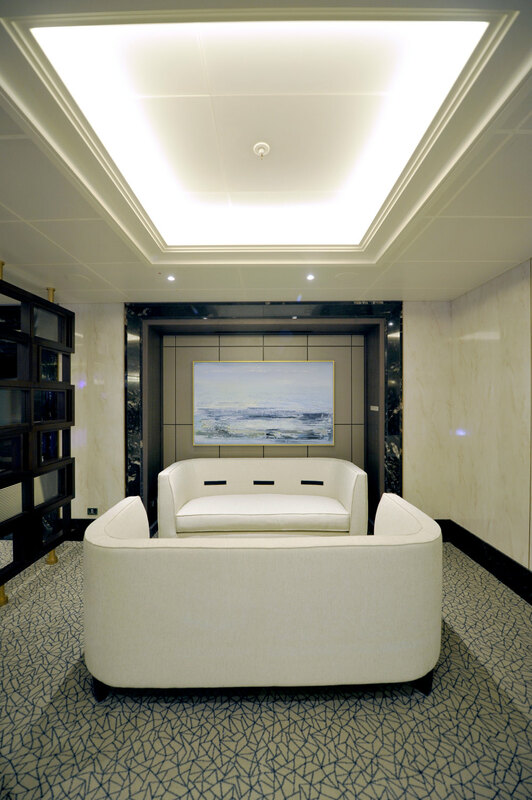 The Atrium is somewhere to linger and relax in and so this seating space offers some secluded tranquillity. 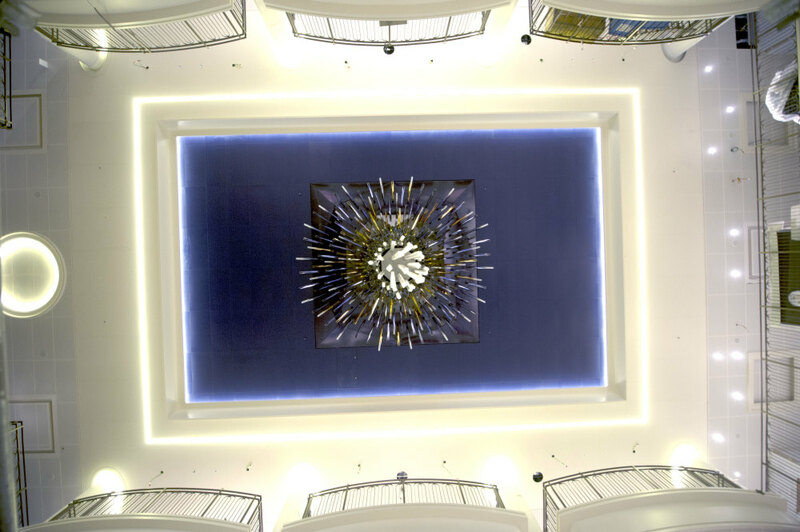 The Star Burst art sculpture is the show-piece in the Atrium and this unique photo showcases it from directly beneath it. The Blue Bar room offers a cosy environment. 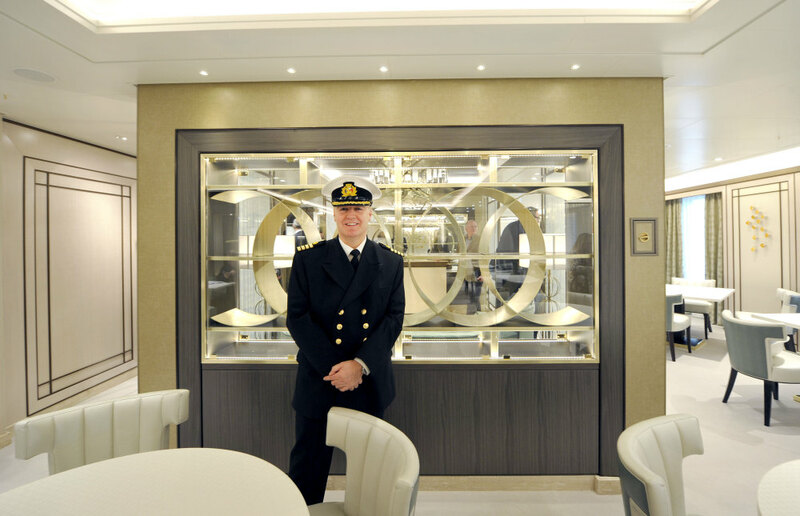 Captain Paul Brown in the chic Epicurean restaurant. 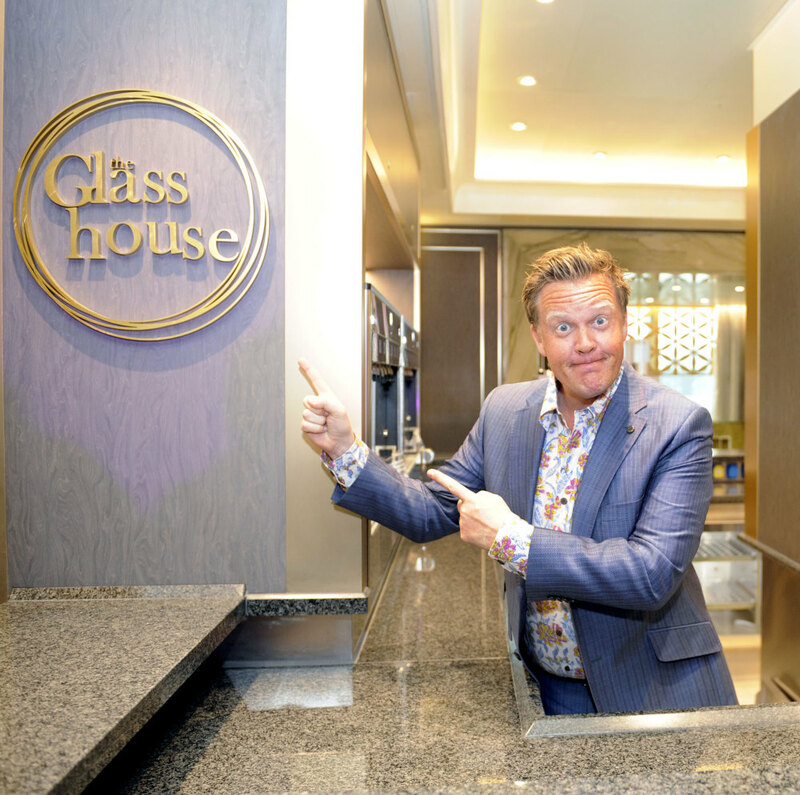 Atul Kochhar’s Sindhu restaurant on-board. Food Heroes Charlie Turnbull, Olly Smith and Eric Lanlard assembled together with Lizzie Kennedy in The Cookery Club venue. 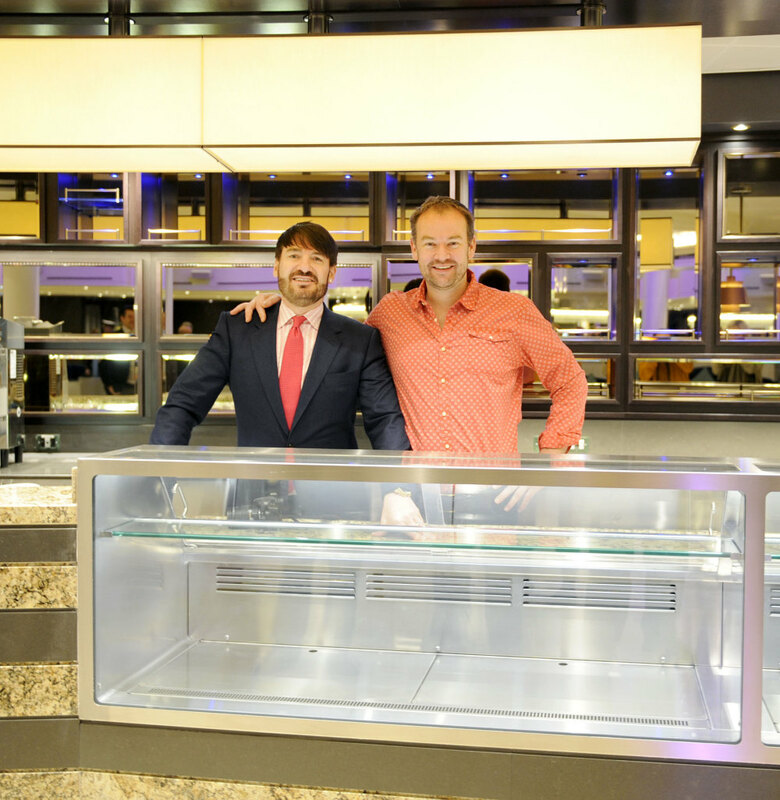 Pâtissier Eric Lanlard together with cheese expert Charlie Turnbull. 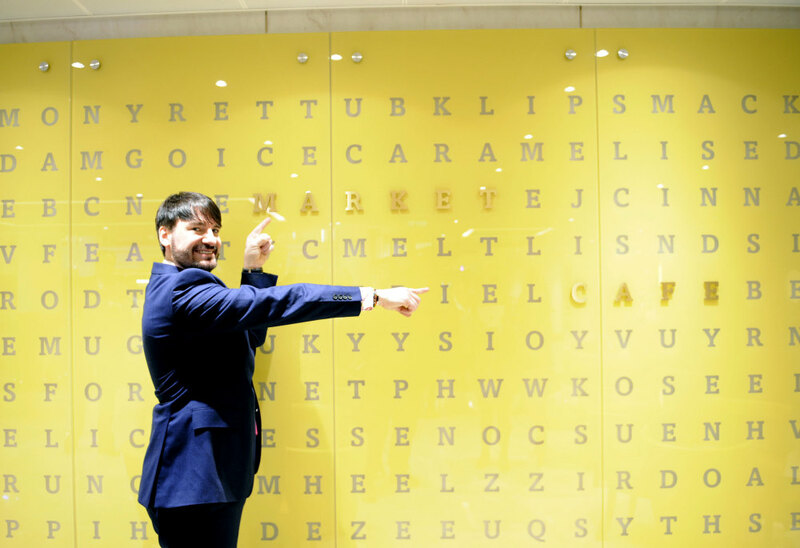 Pâtissier Eric Lanlard outside the Market Café. 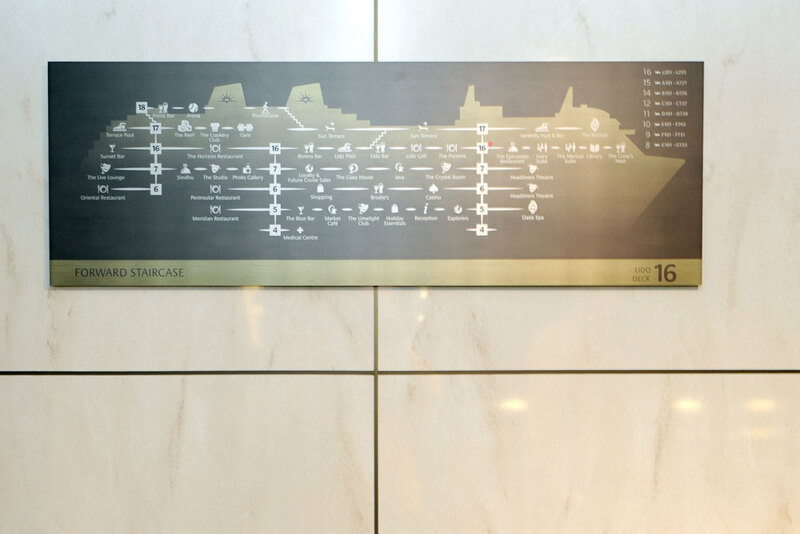 The signage on-board the ship is geared around finding dining and entrainment venues more so than cabins. 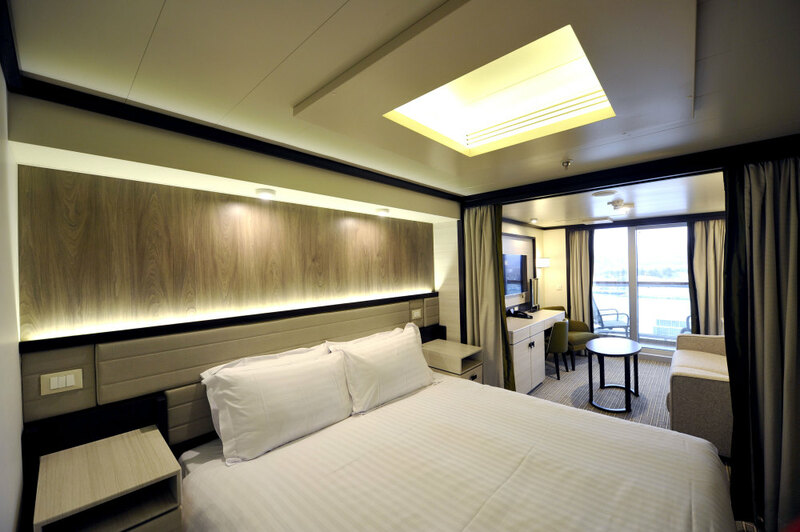 Here is the first official photograph of a Superior Deluxe Balcony Cabin on-board. 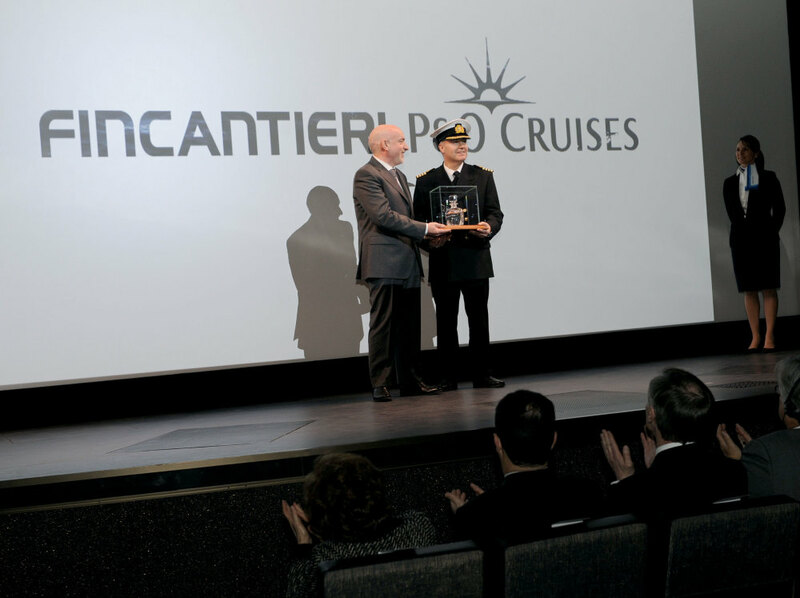 Captain Paul Brown thanked the workforce during the ceremony. 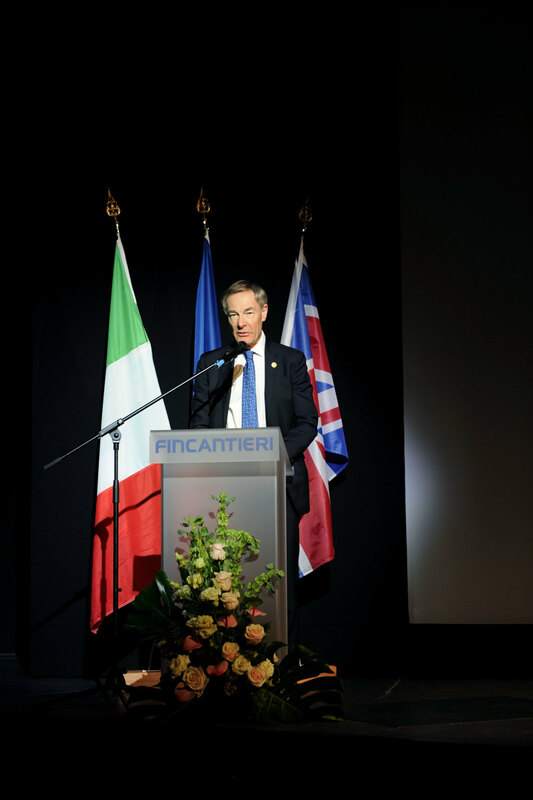 David Dingle, CEO of Carnival UK, gave a speech at the ceremony. A symbolic flag exchange commemoration gift was presented. 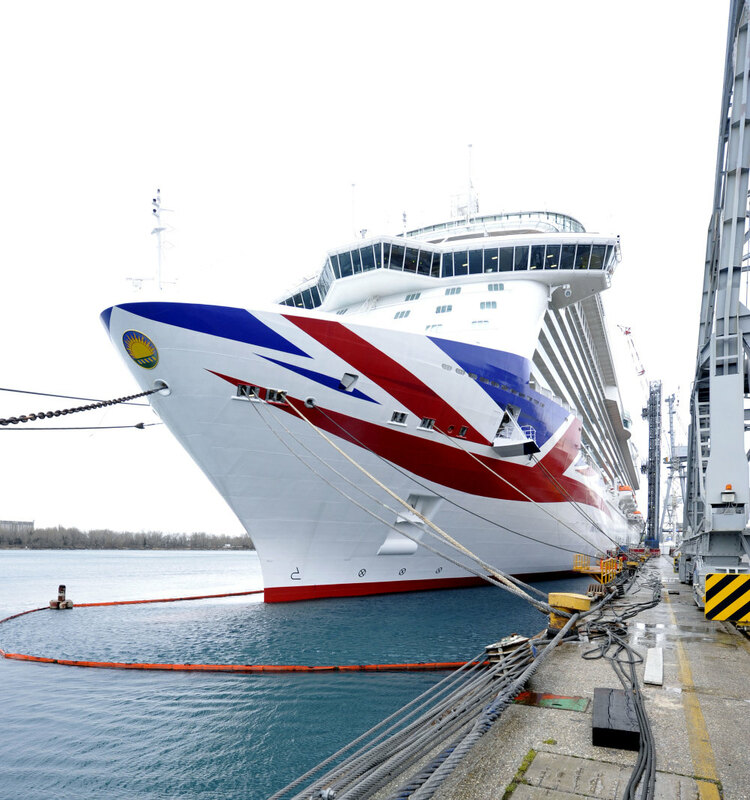 Britannia will leave the Fincantieri shipyard at the end of this week and will arrive in Southampton on Friday 6 March. She will be officially named on Tuesday 10 March before embarking on her maiden voyage to the Mediterranean on Saturday 14 March. Yesterday we took a look at the initial social media reaction to Britannia which you can read here.